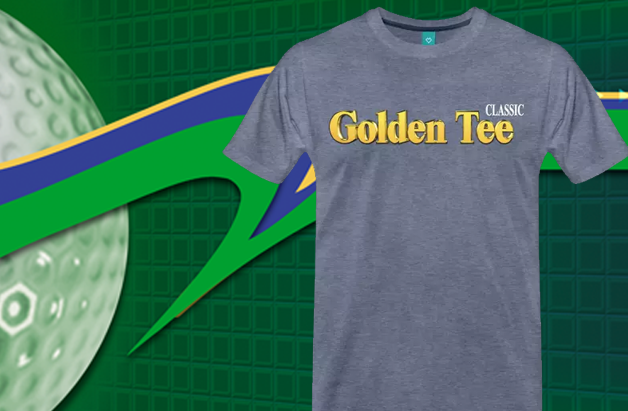 Golden Tee Classic gear is now available in our store! Ever since our announcement that we're partnering up with Arcade1Up to bring back some of our "Classic" Golden Tee games from the 3D Golf era, our social media has been buzzing with excitement. With the launch of a cabinet coming in the Summer of 2019, our social media has been abuzz about heading back to courses like Aspen Lake, Coyote Run, Mountain Springs and so many others. Now, you can join in the excitement of bringing Golden Tee Classic to your homes this summer by heading over to the Golden Tee Shop and throwing the Classic logo on your favorite t-shirt, sweater and more! Head over to GoldenTee.com/shop and design your GT gear today!